Running in Nashville. 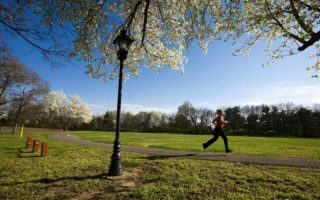 Best routes and places to run in Nashville. 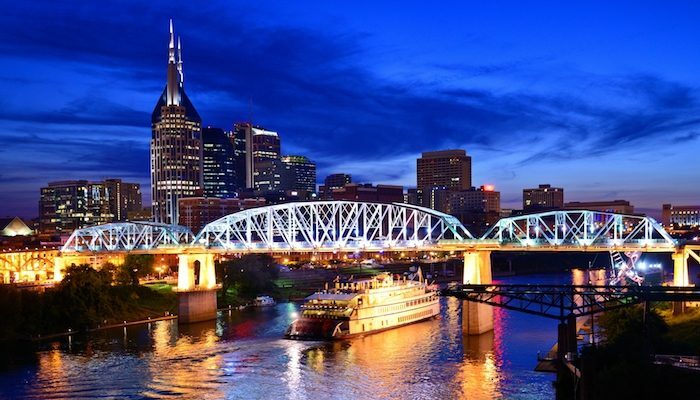 Located on the Cumberland River in the north-central part of Tennessee, fast-growing Nashville is a center for the music, healthcare, publishing, banking and transportation industries, and home to numerous colleges and universities. 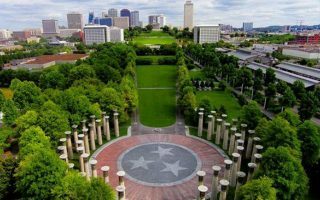 The opportunities for running in Nashville continue to get better, with an expanding network of paths and trails, and a vibrant running scene. 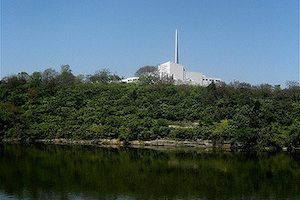 The best places to run in Nashville include almost 80 miles of greenway trails along the Cumberland River, connecting city parks and trails, and the iconic Centennial Park. Runners will also enjoy ‘sightrunning’ tour of Music Row! 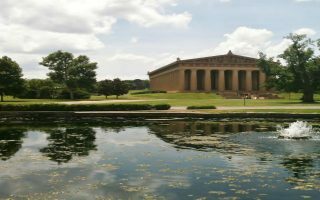 We’ve also included a guide to some gorgeous neighborhoods for running in Nashville, courtesy of Neighborhoods.com. And a big thank you to Fleet Feet Nashville for their help with this guide! Some of our favorite Nashville runs are accessible from downtown, but anything outside the city center generally requires a car as the transportation system is not extensive. There is a good bus and trolley system but no rail or metro. The airport is only 15–20 minutes from downtown. 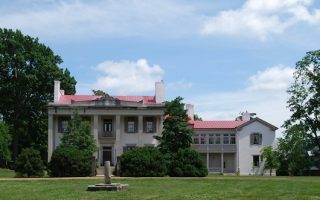 An overview of some of Nashville's prettiest residential neighborhoods for running, adapted from Neighborhoods.com: Belle Meade, Belmont-Hillsboro, Sylvan Park, and East Nashville. Pretty streets, homes, history. A tour of downtown, several 'country music' sights, and paths/greenways, including the Cumberland River Greenway and the East Bank Greenway. Shorter & longer versions, all accessible from downtown. A flat, 6.6 mile one-way trail, between the Country Music Hall of Fame, north to Rhodes Park. Some parts alongside the road and some on the river, with options to cross over to the east side in sections. 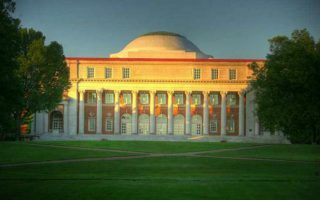 A great tour of some of the music landmarks of Nashville, including Music Square East and West, the Wyatt Center, and Owen Bradley Park. Campus of Vanderbilt University is a nice add-on. 2600 acres of forest and field located minutes south of downtown. 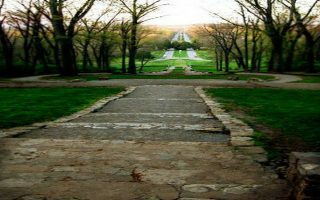 The historic entrance is marked by “The Allee”, an impressive set of stone step, and the top of the hill with great views of the Nashville skyline. A beautiful, paved trail with impressive views of the Cumberland River. Keep your eye out for Spot Opryland’s General Jackson Riverboat. A good option on a hot day. 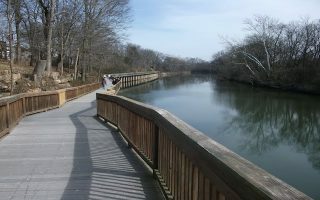 A multi-use trail that runs parallel to the Stones River for much of its length. 12 miles east of downtown and 5 miles south of the airport, and connects to the Shelby Bottoms Greenway. One of many of Nashville’s evolving system of greenways, about 15 minutes West of downtown. 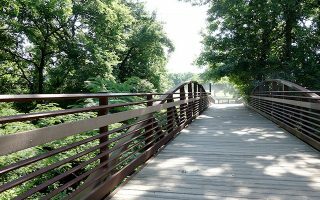 The multi-use trail loops around McCabe Park, along Richland Creek, and a section cool for railroad buffs. A multi-use trail in the city of Brentwood, features rolling hills and a wide, paved path. Includes River Park, a section along the Little Harpeth River, and Crockett Park. 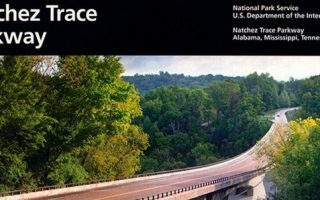 Run the section of this 444-mile recreational road and scenic drive that passes close to Nashville. The road is also a designated cycling road, so it's runnable. Pretty views and foliage. A dirt trail runs alongside the road from Franklin to Garrison Creek. Nashville has fairly mild winters with occasional cold snaps, and hot, humid summers. Snow is rare. 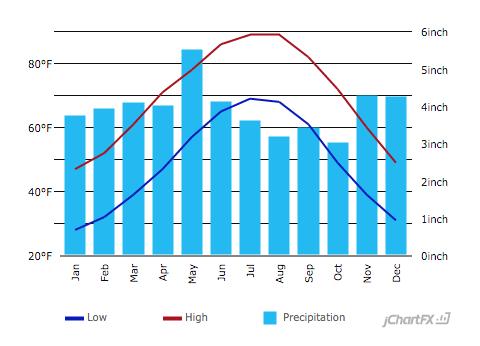 Rainfall is abundant and evenly spread throughout the year but is thunderstorm-y in spring and summer. Overall, a good running climate except for oppressive heat in summer. The best time is the gorgeous summer spring, where everything is in bloom and temperatures are mild. Use caution in summer — it is very hot and humid. Nashville hotels are focused primarily in downtown and Music Row. If staying downtown, there’s good access to the Metro Center Greenways, Music Row, and Centennial Park routes. Closer to Opryland/Music Valley, the Shelby Bottoms Greenway and Stones Rover Greenway are good bets. 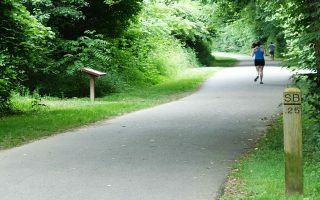 The Stones River Greenway is also the best running option near the airport. The Convention Center is in the heart of downtown. There are three main running stores in Nashville as well as a few factory stores and national retailers. No specialty running stores are located directly downtown but there are multiple stores just a few miles in any direction. See the Running Overview map for store locations. A big thank you to Fleet Feet Nashville for helping with this guide! 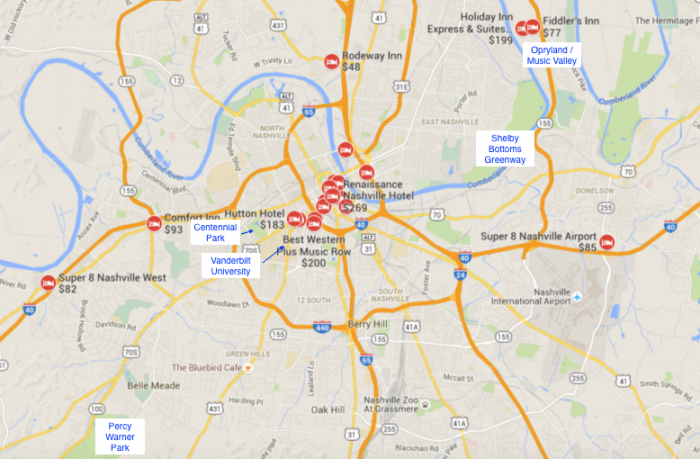 Fleet Feet Sports Locations in Green Hills and Brentwood Locations. Nashville Running Company Locations in Westgate Center and Five Points. Team Nashville Owned and operated by two local runners. Located in Midtown/Vanderbilt neighborhood. Gulch Running Club Meet at Nashville Chiropractic (1200 Division St.) at 6:30 PM for an easy 4 mile run through the Gulch and surrounding neighborhoods followed by pizza and craft beer at Hops n Crafts on 12th. Nashville Running Company Westgate Center. Hosts group runs Tuesday evenings in Percy Warner Park and Thursday mornings from the West side store. All levels are welcome. Nashville Striders Group meets varies places on Wednesdays, Saturdays and Sundays. See website for details and run coordinator contacts. Green Hills Run Club 3–5 mile run or walk Mondays starting from Green Hills Fleet Feet. Tin Roof 2 Runnin’ Crew Meets every Monday at 6pm for a Cool Springs Pub Run. South Side Runner Thursday nights at 6:15 this group meets in front of Blue Coast Burrito (6900 Lenox Village Dr.) for a fun run and social hour. Brentwood Breakfast Club Run/walk followed by breakfast on Thursday mornings at 6am. Routes range from 4–6 miles. Nolensville Running Club Meets at Nolensville Town Hall (7218 Nolensville Road) at 6:15 every Wednesday for a 3–6 mile run/walk. Runners of all levels are welcome. With all of Nashville’s running clubs, it is no wonder that there are frequent running events! St. Jude Rock N’ Roll Marathon April. Also a half marathon and 5K. Tom King Classic March. Half Marathon and 5K. Andrews Cadillac Firecracker 5K/10K July 4th. Girls on the Run 5K May. The Harpeth Hills Flying Monkey Marathon November. Featured in Marathon & Beyond and in Runners’ World magazines. Very Hilly.